In WordPress, you can put content on your site as either a “post” or a “page”. When you’re writing a regular blog entry, you write a post. Posts, in a default setup, appear in reverse chronological order on your blog’s home page. In this tutorial, You will learn how to Add, Add, Publish, Edit and Delete WordPress Pages. In this tutorial, we will study how to Add Pages into the WordPress. Adding pages is similar to adding posts in WordPress. Pages are static content and often do not change its displayed information. Step 1 − Click on Pages → Add New as shown in the following screenshot. Step 2 − You will get the editor page as seen in the following screenshot. The editor page has two tabs, Visual and Text. You can insert text in either of these. Here, we’ll study about inserting text into Visual format. Add Link − Adds a link to your content. Or link to existing account − Links to an existing content page by selecting the page from the given list. Includes the images in the pages. The command, “Publish” is used to make the pages available to all users wherein each user can view that particular page. Publishing a new page in WordPress is an easy process. Following are the steps to Publish Pages in WordPress. 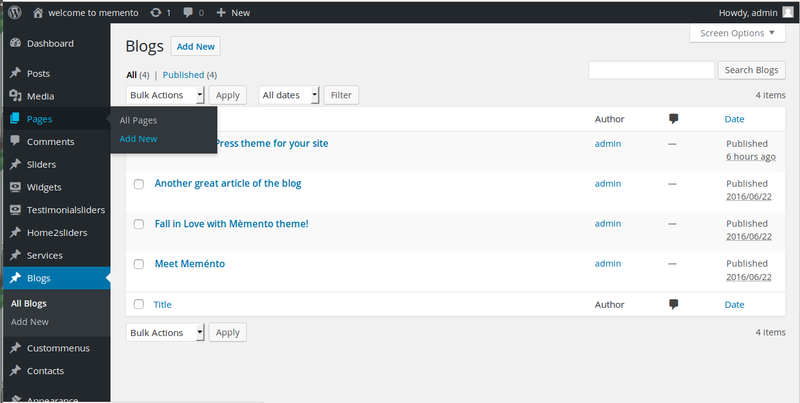 Step 1 − Click on Pages → Add New in WordPress. 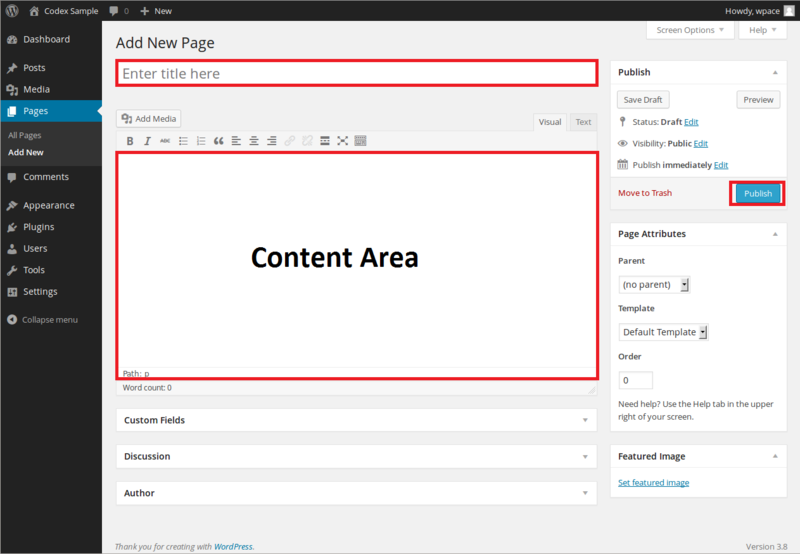 Step 2 − You can use the WordPress WYSIWYG editor to add the actual content of your page. Step 3 − Click on Publish button. In this chapter, we will study how to Edit pages in WordPress. Step 1 − Click on Pages → All Pages in WordPress as shown in the following screen. Step 2 − You can view About Us (About Us was created in the chapter WordPress – Add Pages). When the cursor hovers on the pages, then few options get displayed below About Us. There are two ways to edit the Post, i.e., Edit and Quick Edit. You can edit or change the content or title from the page as per your need, and then click on Update button. Quick Edit − Click on Quick Edit option in About Us as shown in the following screen. You can edit the Title, Slug and date of the About Us page and can also select the parent for your page as shown in the following shot and then click on Update button. In this chapter, we will learn to Delete Pages in WordPress. Step 2 − You can delete Any Page. When the cursor hovers on the pages, then a few options gets displayed below the Sample Page. Click on Trash option to delete the post.